Correggio (Re), October 29th, 2015 – This afternoon Parma Calcio 1913 was eliminated from the Coppa Italia, losing in penalties to Correggese 1948 at Stadio Walter Borelli di Correggio (Box score below). The match ended 0-0 in regulation. Parma was dangerous in the first half, in particular a bit before halftime in the 38th minute when a free-kick by Matteo Guazzo hit the crossbar. In the second half, head coach Luigi Apolloni’s well-trained boys fell victim to the initiative of the home team, and in at least three separate times it was the very good goalkeeper Alioune Fall to save the result, who remained untouched through the third minute of stoppage time in the second half. 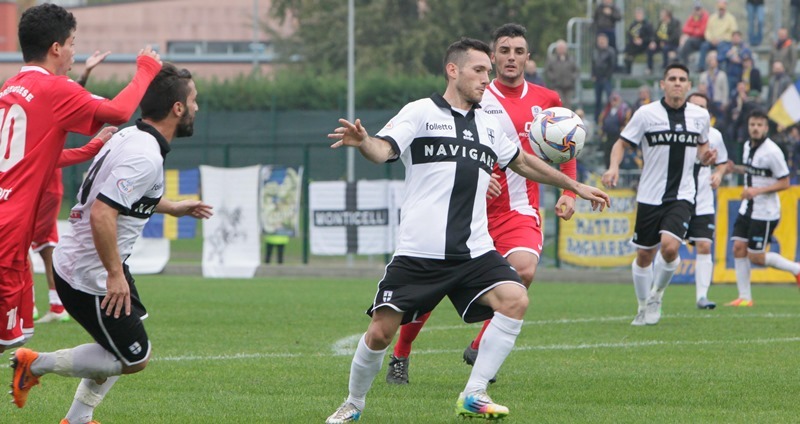 The right to advance to the second round of the Coppa Italia was therefore up to the 11- metre lottery, in which the players of Parma were stopped three times. Sequence of penalties: Guazzo (PR) Goal, Caboni (CO) Goal, Melandri (PR) blocked, Bacher (CO) blocked, Vignali (PR) blocked, Mantovani (CO) goal, Agrifogli (PR) goal, Camarà (CO) goal, Benassi (PR) miss. CORREGGESE 1948: Chiriac, Guerra, Pipoli, Mantovani, Zuccolini, Berni (21’st Bertozzini), Camarà, Davoli (35’st Bacher), Caboni, Arrascue (1’st Franceschini), Franciosi. All. : Campedelli. Bench: Razzano, Selvaggio, Lazzaretti, Cappellini, Rota, Moretti. 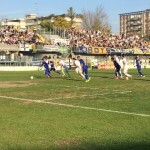 PARMA CALCIO 1913: Fall, Adorni, Agrifogli, Corapi (Cap.) (19’st Simonetti), Benassi, Saporetti, Vignali, Rodriguez, Guazzo, Musetti (30’st Melandri), Sereni (9’st Sowe). All. : Apolloni. Bench: Ciotti, Donati, Cacioli, Ogunleje, Traykov, Baraye. Note –Corner Kicks: 2-2. Yellow Cards: Berni (18’pt), Rodriguez (27’pt), Pipoli (35’pt), Benassi (30’st). Crossbar hit by Guazzo (38’ pt). Stoppage time: 1’ in the first half, 3’ in the second half.